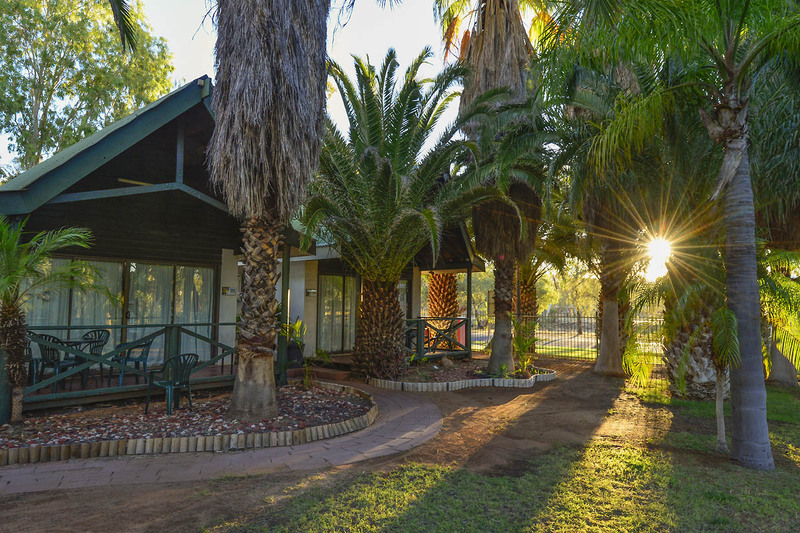 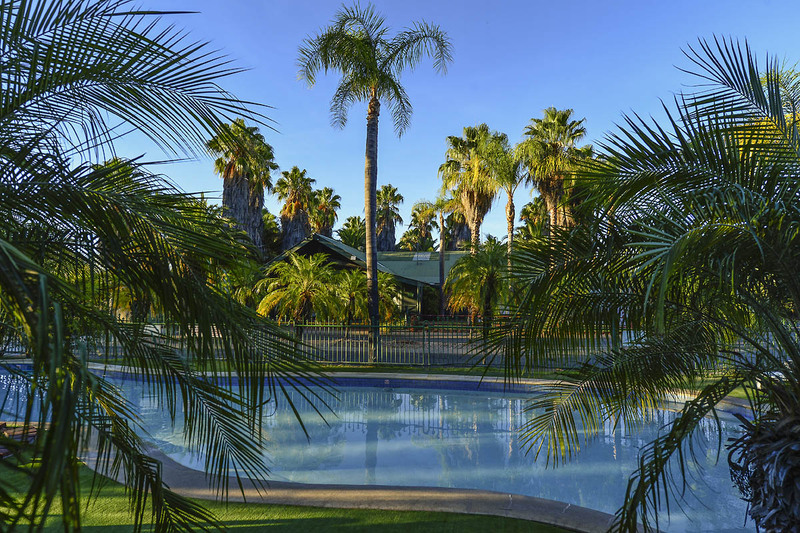 An oasis in the outback, the Desert Palms Alice Springs is a 3.5 star outback property offering individual studio villa accommodation, set around a crystal clear free-form pool with island, waterfall and surrounded by tropical gardens. 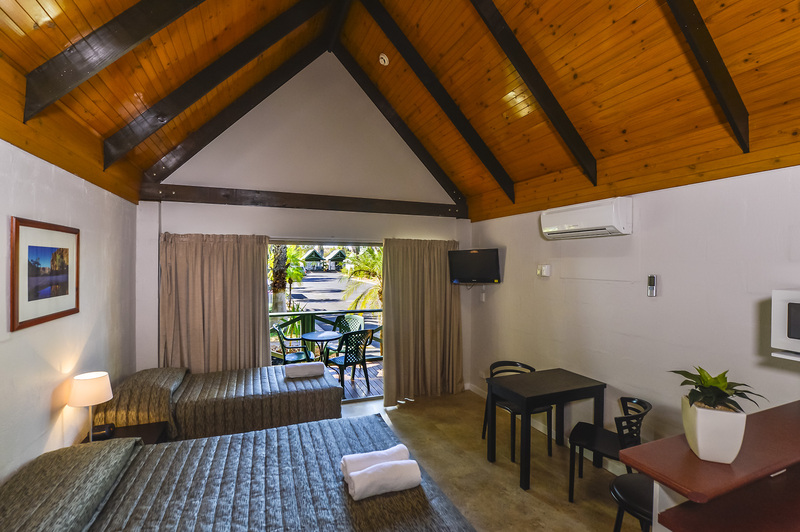 All villas are air-conditioned and include bougainvillea-covered verandahs, private en suites and kitchenette facilities with microwave, electricty frying pan and hotplate. 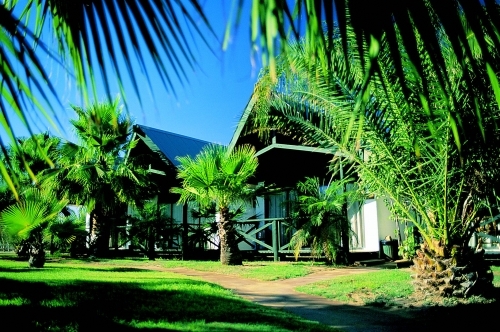 The hotel offers outstanding value for the visitor wanting comfort at an affordable price. 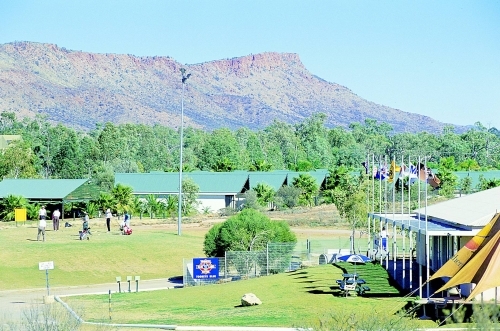 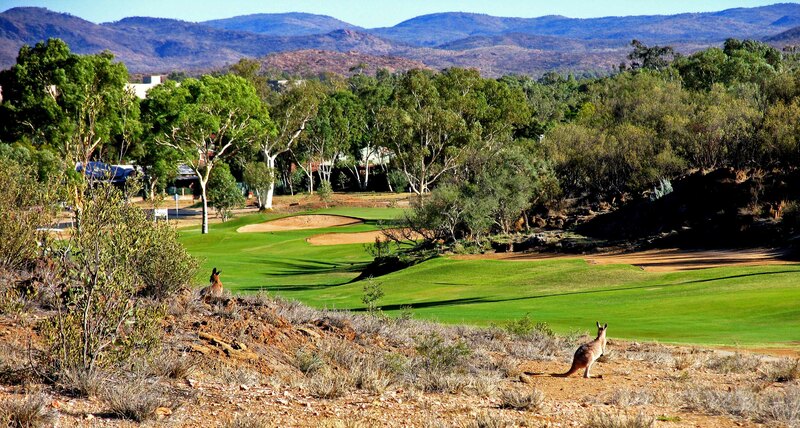 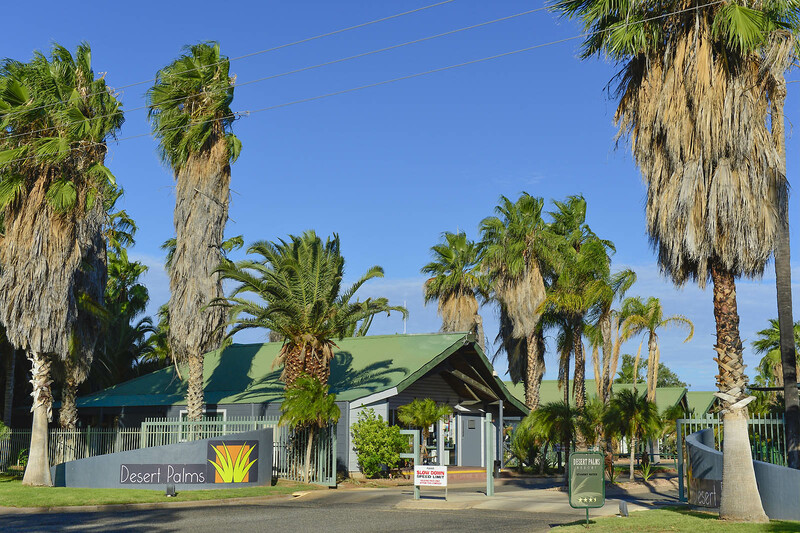 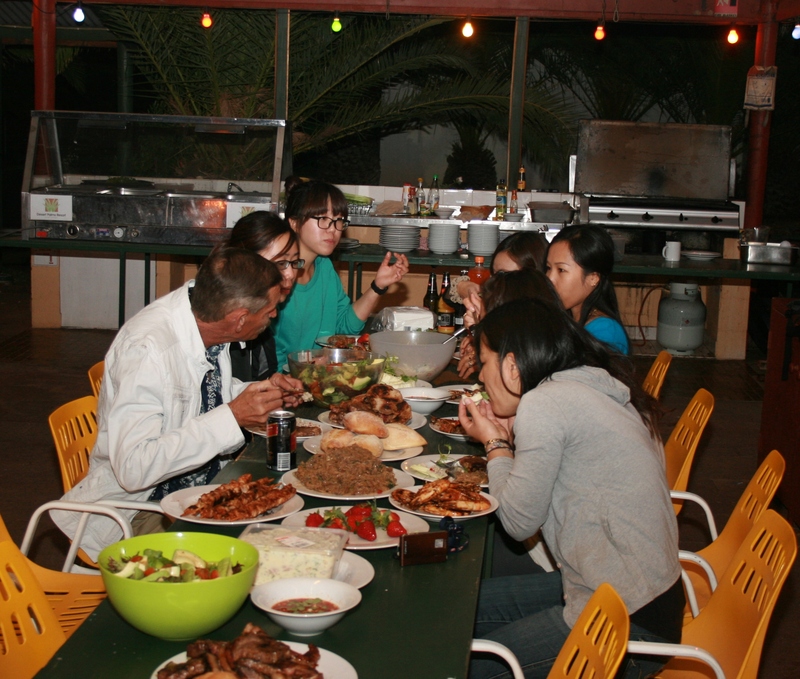 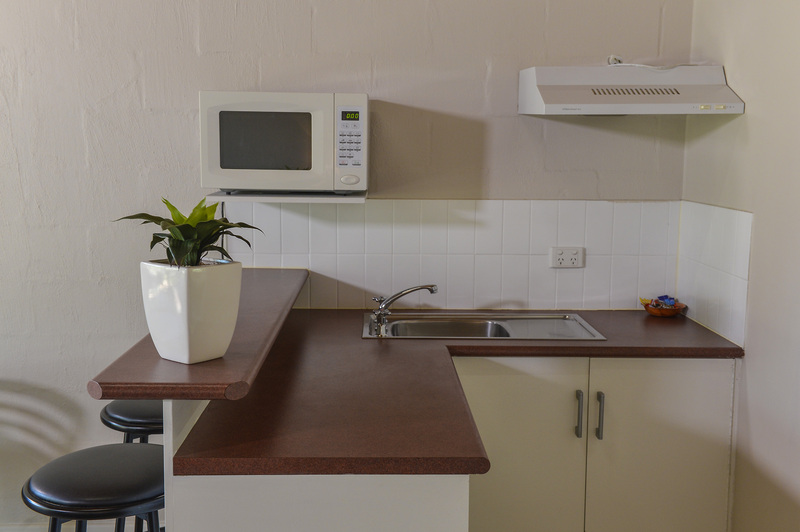 Although we do not have a restaurant on the premises for those who would like to dine out, some of Alice Springs best restaurants are within metres of the Desert Palms. 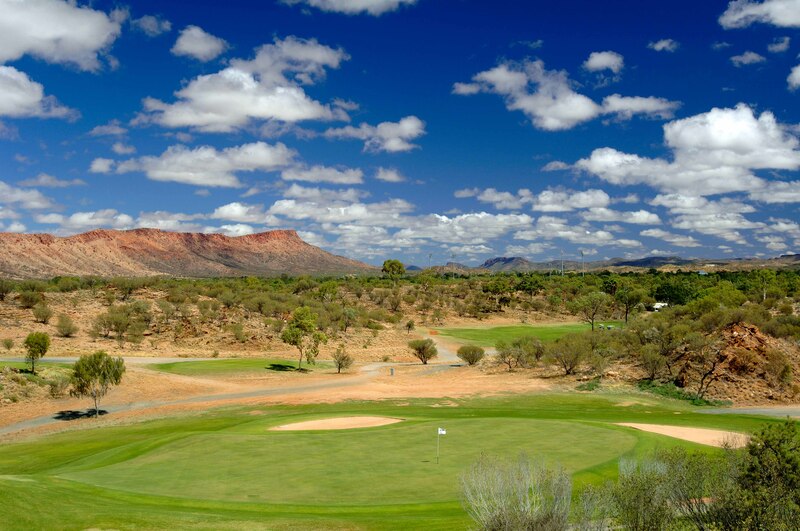 These include the Golf Course Club House, Hanumans (Indian/Thai) and The Eatery and Bar at the Double Tree by Hilton and four restaurants at Lasseters Casino including the Juicy Rump. 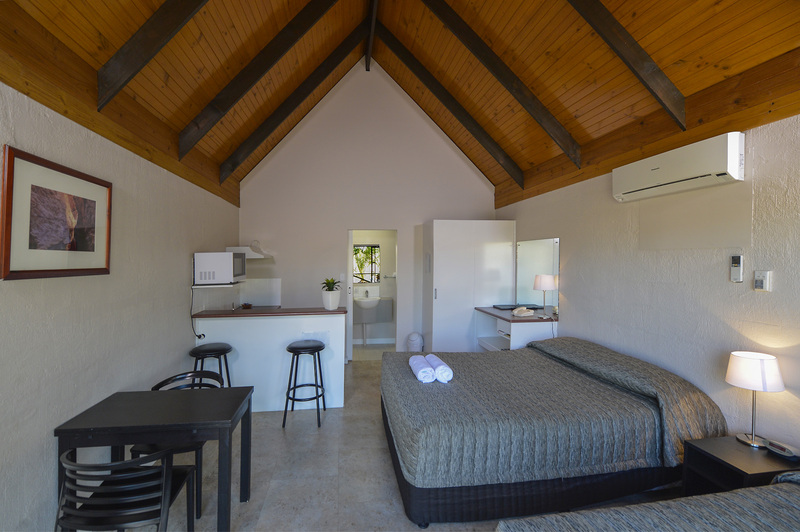 There is a small kiosk/shop on-site where food items and liquor can be purchased, a guest laundry, BBQ area, secure gated off street parking directly outside each villa and FREE WiFi. 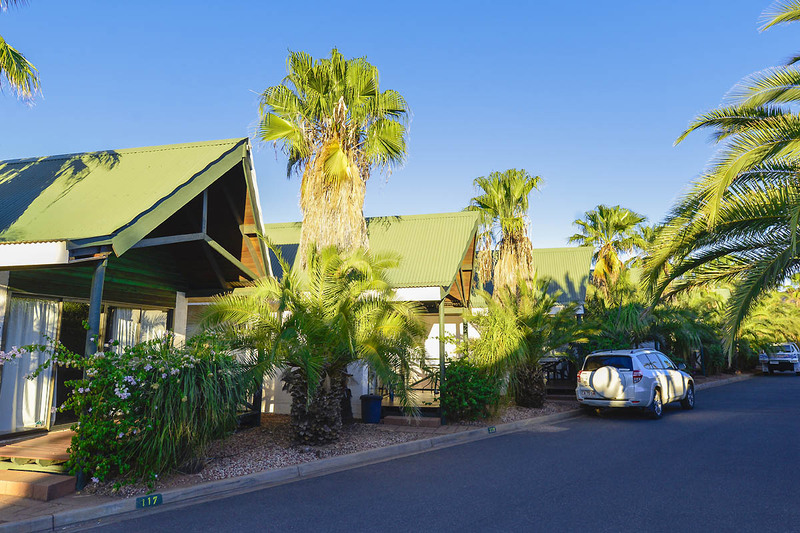 The Desert Palms Alice Springs offers a calm, peaceful environment, which creates a sense of relief for the often-weary traveller. 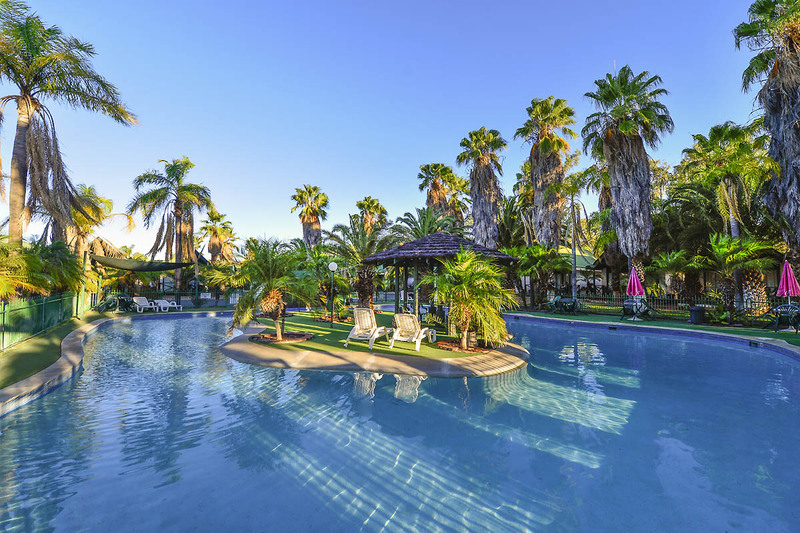 After a hectic day of travelling by road or air take pleasure in watching the world go by on the privacy of guests own balcony surrounded by palms trees while partaking in a light refreshment.